UPDATE: Having just dipped into the set I have to say it does not disappoint. Francis is, um, sassy. And the half-hour format necessitates a lot of plot compression, so man are these episodes brisk. Quite a treasure trove for a variety of cultists, as Michael J. Pollard, Joe Don Baker, Ray Danton, and other such figures turn up in guest spots; Ida Lupino directs one episode. 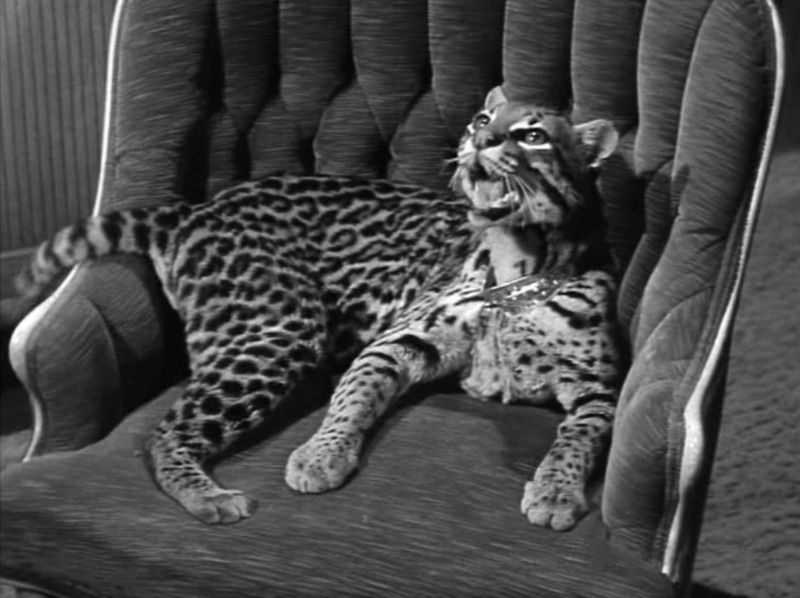 I had forgotten Honey's pet ocelot was named Bruce. He's adorable. UPDATE: I grant the commenter Mr. Dayoub his wish below the jump.